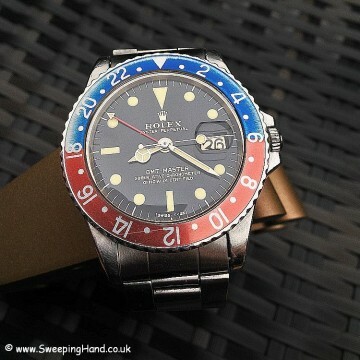 Here we have one of the most beautiful gilt dialed vintage Rolex GMT 1675 watches I’ve seen, and I’ve seen quite a few! 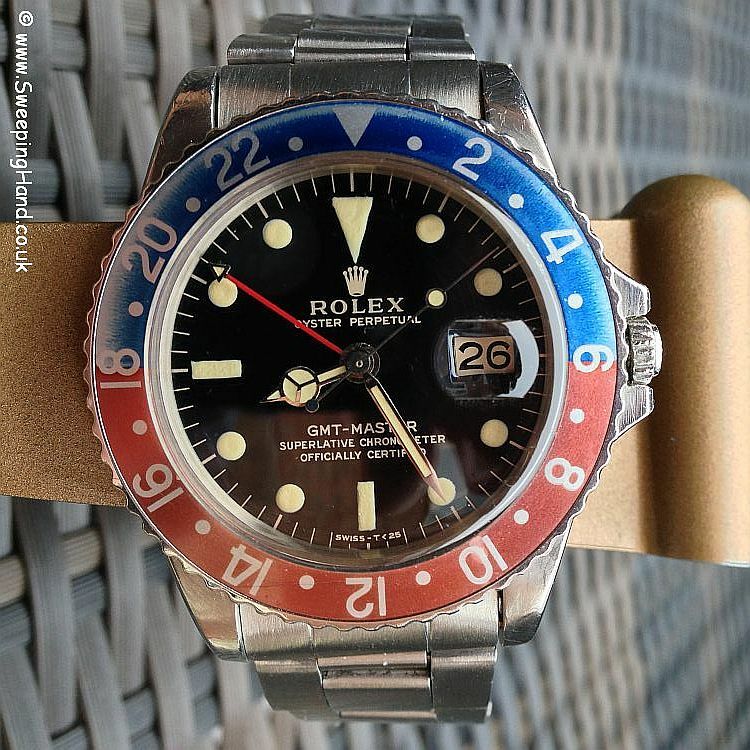 This 1.4m serial Rolex GMT Master watch from 1966 still has the small GMT 1675 hand, squared crown guards very typical of the 66 and 67 gilt dial GMT’s, II 66 stamped inner case back and vintage Rolex gilt dial. 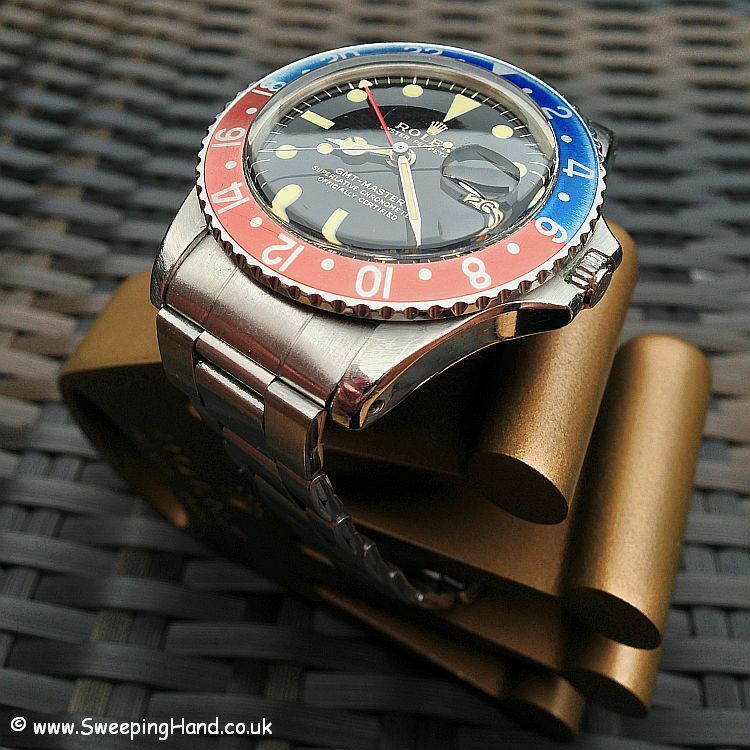 The dial on this watch is simply mesmerising! The gloss is deep and perfect with no colour loss or marks anywhere. The gilt writing is a striking gold and as sharp as it could be. 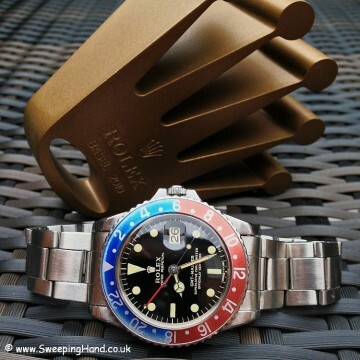 The minute markers are all prefect and the hour plots have the most beautiful yellow tone to them. The Rolex GMT Master 1675 is extremely hard to find at this level of condition, with such fat lugs and perfect dial/hands combination. An amazing faded fat font ‘pepsi’ insert just finishes this piece off perfectly. 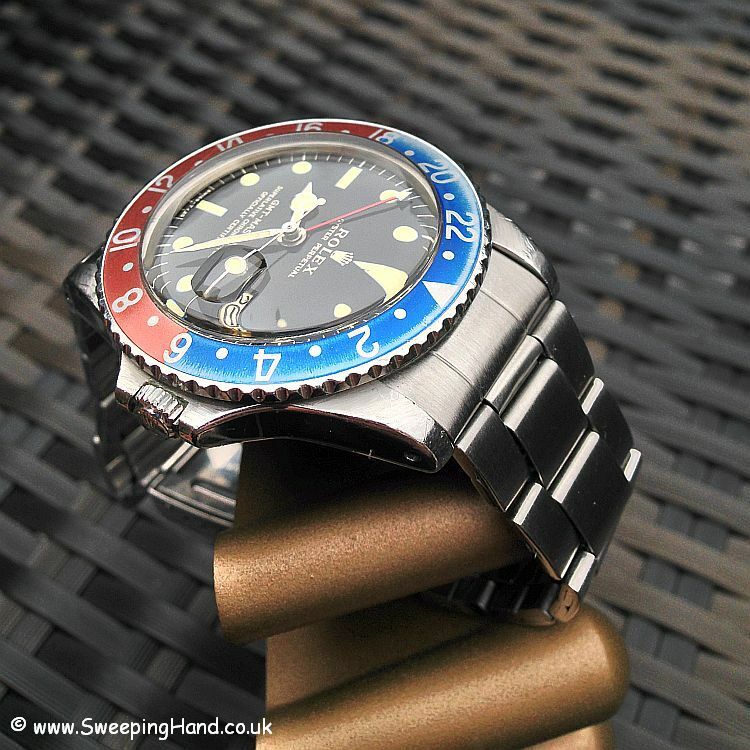 Dial & Hands: The gloss is deep and perfect with no colour loss or marks anywhere. The gilt writing is a striking gold and as sharp as it could be. The minute markers are all prefect and the hour plots have the most beautiful yellow tone to them. Case & Caseback: The case on this is FAT. It is one of the cleanest I’ve ever seen with zero corrosion. The lugs are thick and with original beveled edges and the squared crown guards are nice and fat also. 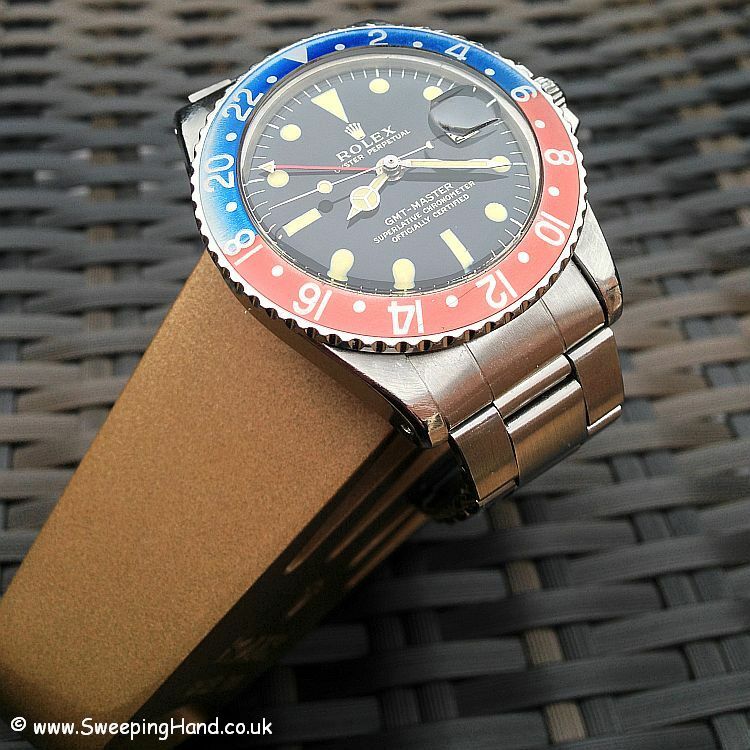 Rolex caseback correctly stamped II 66. Serial number and model number are clear and readable between both sets of lugs. Bracelet: Comes with an original 7206 rivet bracelet with 58 end pieces stamped iv.66 in nice condition with very little stretch. Later variants available if preferred. Movement: Original movement and watch is keeping good time. Very beautiful, fantastic dial also bezel …..